The sailing school will be starting this Saturday 13th October, with the starting time being brought forward to 8.30 rather than 9am. If you cannot make it this week, don’t worry about it, you can start joining in whenever it suits. We need to draw you attention to the fact the the school is run on a completely volunteer basis and we are always on the lookout for some additional (read younger and fitter) helpers. To this end, we are having our annual general meeting on Saturday 17th November at 12 noon. Please come along and get involved or give constructive criticism as it will make the experience all the more enjoyable for yours or others children. Look forward to catching up with you all soon. The standard membership is now based on a family unit, with the parent / guardian or adult over 18 being the member and includes one junior. Additional juniors will be included within the family membership. As always, parents are encouraged to help out with the setting up and packing up of the training dinghies and assisting in the launching and recovery of the safety boats. Each membership will be required to assist in the running of the sessions either in an ‘on water’ or shore based support role. 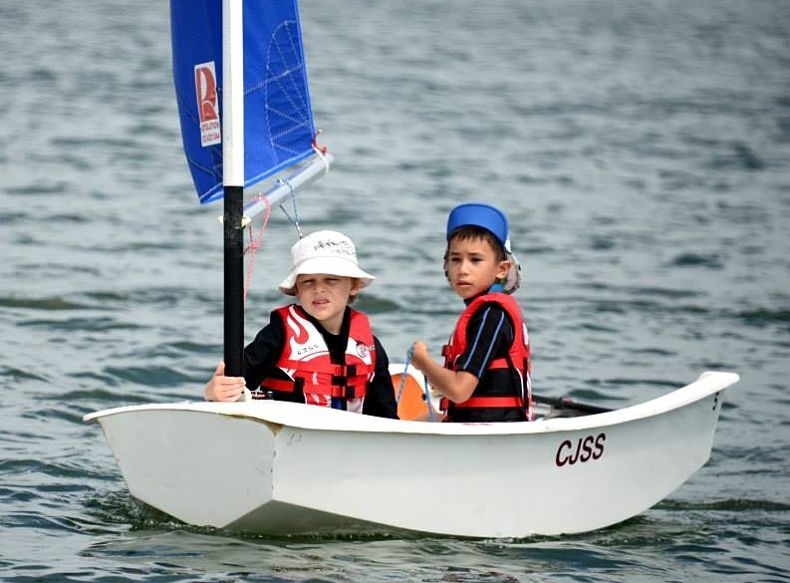 Depending on numbers, we are intending to continue our formal method of training using up to three groups, beginners, those able to handle a dinghy and those who are nearly at the stage of being able to race. 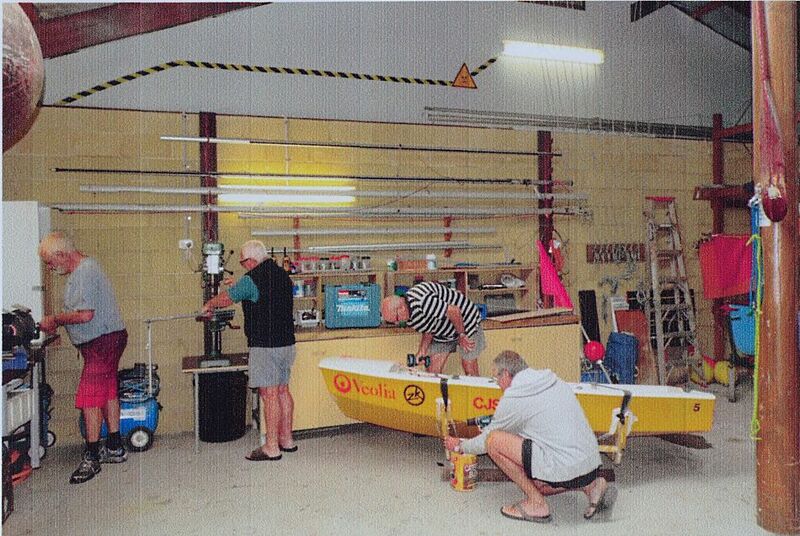 This will allow more targeted training using smaller groups and should get everyone sailing sooner and more safely. 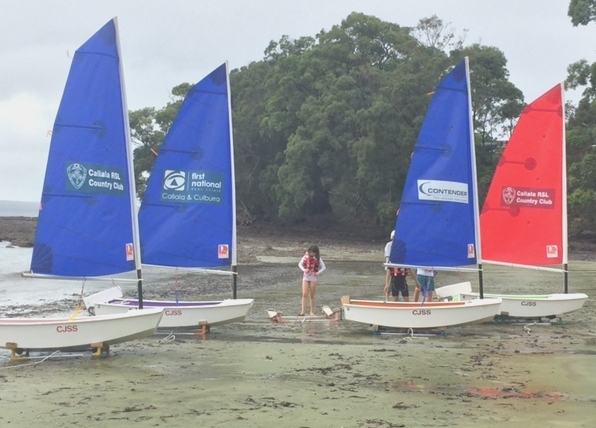 When the students have achieved certain skill levels, there will be opportunities to try racing (under supervision of our staff) in conjunction with Jervis Bay Sailing Club in their normal Saturday afternoon races. In line with current NSW Government regulations, all persons involved in the formal training must have a “Working with children “ clearance prior to undertaking any role. So if you would like to help, please complete and lodge a ‘working with children form’ online by visiting http:wwccheck.ccyp.nsw.gov.au/Applicants/Application and then going to the RMS office to get an identity verification. Once this has been done please bring the application Number or clearance letter with you as the school has to have them recorded. 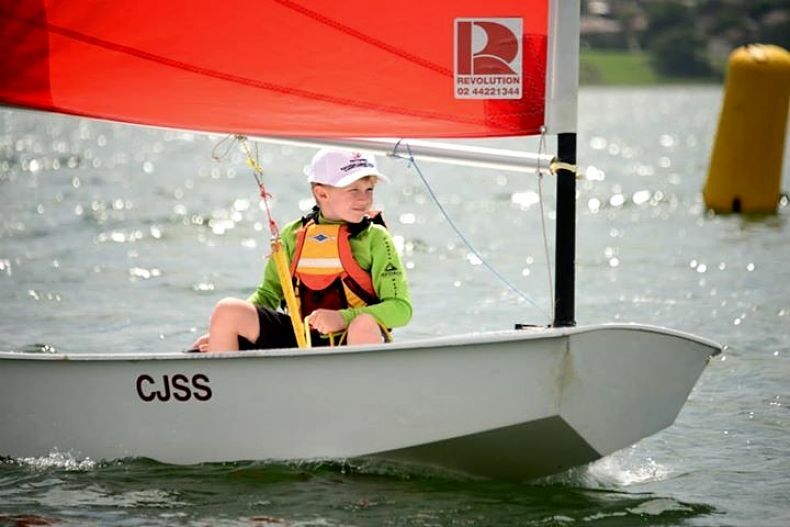 Minimum age of Junior Sailors is 7 Years old, though it is expected that the child should be comfortable wearing a life jacket and be able to float in a relaxed manner out of their depth. All junior sailors are to sign on & sign off every week on the sheet provided. This is to ensure that everyone is off the water safely. All junior sailors or parents helping should wear covered footwear. All sailors and/or helpers on rescue boats are required to wear life jackets. This is a CJSS compulsory rule. Sailors and helpers are recommended to wear sunscreen, sun hats and long sleeved shirts to protect you from sunrays. Coaches will decide on weather conditions on the day. If deemed unsafe all or some of the water activities may be cancelled .If this occurs off the water activities will take place. e.g. Theory &/or games. All sailors/parents/helpers are required to treat all members/ coaches with respect. Remember these people are volunteering their time to teach others. Treat others how you would like to be treated yourself. All Sailors/Parents/Helpers are expected to look after boats and equipment on and off the water .The School provides good reliable equipment and would like to keep it that way. 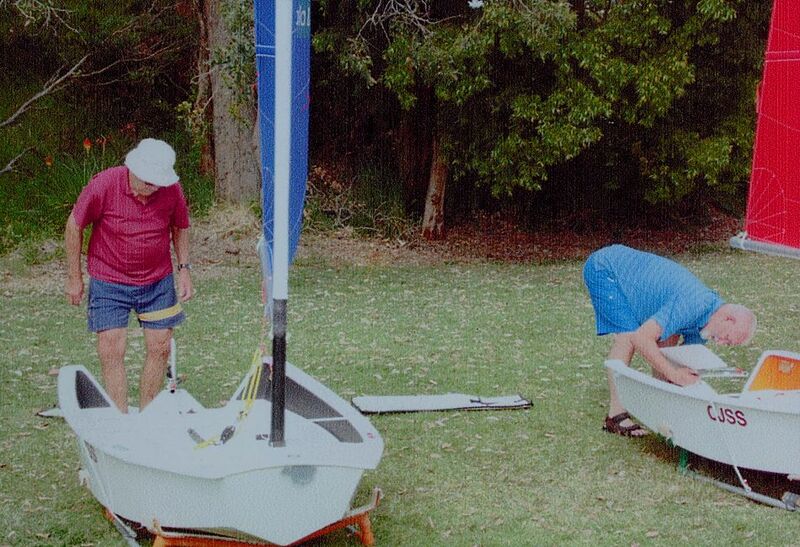 Junior sailors are expected to wash and pack away boats and equipment upon completion of sailing every week. Those who choose to use their own boats MUST adhere to the training as directed by the coaches and have a public liability insurance cover on their craft. 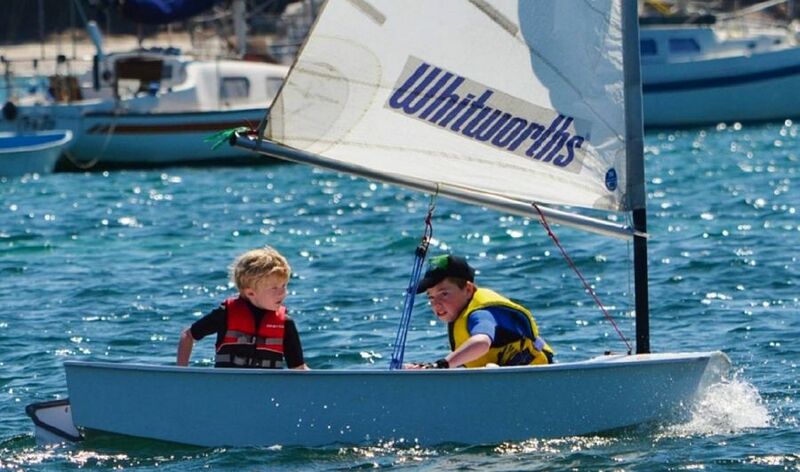 Youngsters Saxon and Michael learning to sail a Manly Junior dinghy as part of a training weekend at the Callala Junior Sailing School in 2012, with support from the Manly Junior Association. 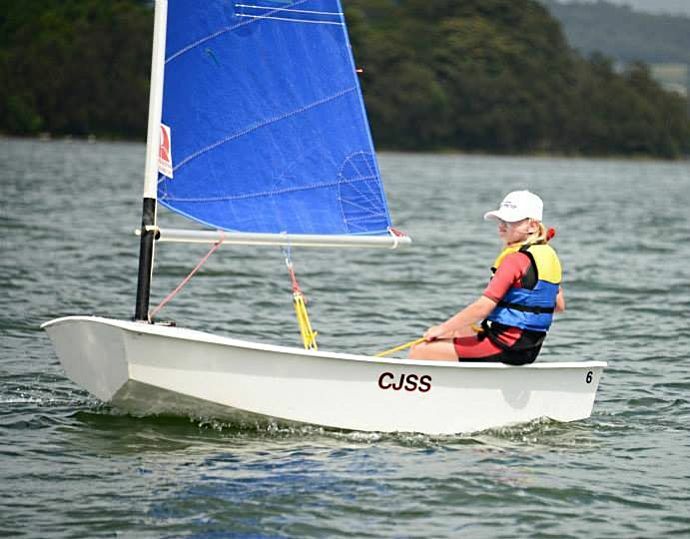 Twenty junior sailors were instructed in sailing recenly acquired Manly Juniors, which added to the fleet of the smaller Pittwater Juniors at the club. 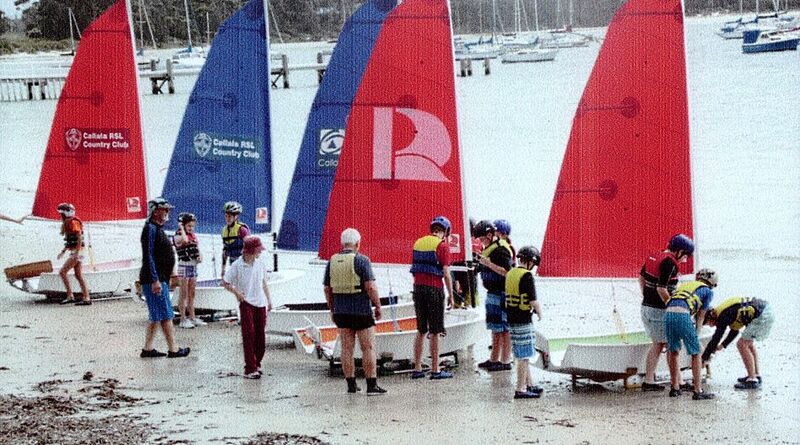 Manly Juniors have three sails (including a spinnaker), with all the controls that are used on much larger yachts. 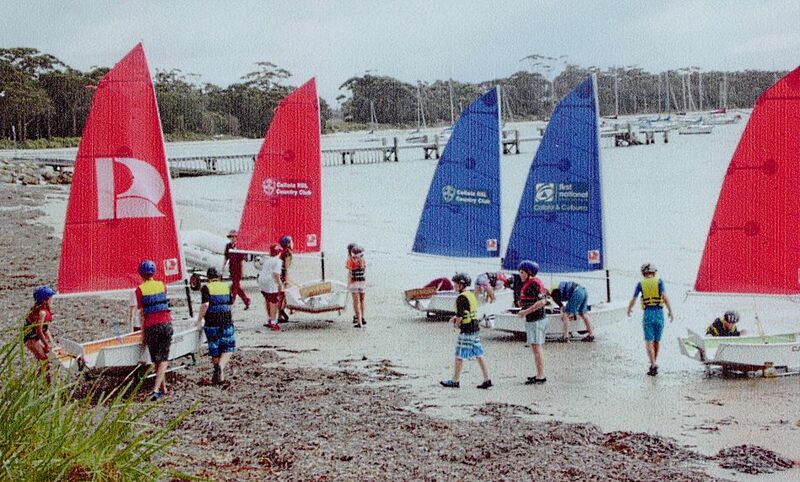 Juniors can begin to learn the skills required to sail larger vessels by sailing MJ's. Source: South Coast Register, September 26, 2012.